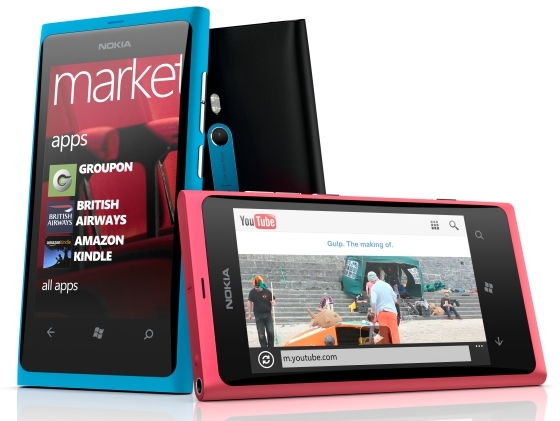 Nokia launched two Windows power smartphones today, the Nokia Lumia 800 and Lumia 710. The Nokia Lumia 800 takes its place as Nokia new flagship, with a curved 3.7-inch 480 x 800 resolution ClearBlack AMOLED LCD, encased in a stylish black, cyan or magenta case. Inside is a 1.4GHz processor, 512MB or RAM, 16GB of internal storage and maybe its best feature, a 8MP camera with f/2.2 Carl Zeiss Tessar lens with a dual led flash and a dedicated camera button. On paper at least, this should be better than the camera on the Apple iPhone 4S and on any Android phone. A bit perplexing is the absence of a front camera. That is one feature that distinguishes a Windows Phone 7 device from a Windows Phone 7.5 device. As with other Windows Phone 7.5 Mango devices, it comes with 25GB of free SkyDrive. Over and above this Nokia added Nokia Drive, a free turn-by-turn voice navigation program. This is the first Windows Phone to come with free turn-by-turn voice navigation. 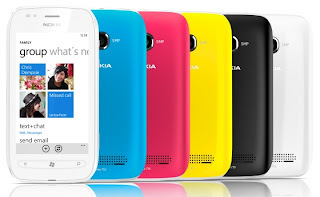 Nokia Drive voice navigation works in the Philippines. Google Maps navigation, found in the Android phones and the iPhone, works here to, but without turn-by-turn voice support. In addition, Nokia added a new service called Nokia Music with Mix Radio and an ESPN Sports Hub. It seems a bit like deja vu, a potentially great camera, free turn-by-turn navigation, but this time instead of a Symbian packing N8, we have a Windows power Lumia 800. Retail price is US$585, which should put it at around Php26,000 to Php28,000 locally. A bit more expensive than we were expecting, but I think this will sell really well here. The other phone announced is the was the Nokia Lumia 710 which sports a 3.7-inch 480 x 800 resolution ClearBlack LCD,a 1.4GHz processor, 512MB or RAM, 8GB of internal storage and a 5MP camera. We expect this phone to retail locally at about Php16,000 to Php18,000. Well, that's all. 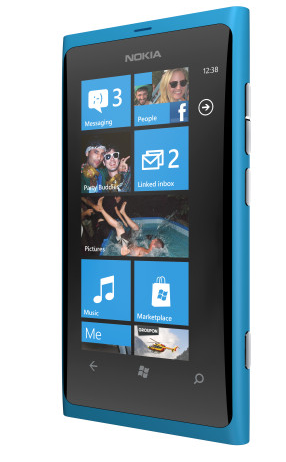 Right now Nokia's Windows Phone 7 line-up looks a bit thin.